I wrote a lot as a kid. I liked telling stories and it seemed like the surest way to be heard. While I did have my angsty phase, the thing that really inspires me to write and continue writing is my desire to entertain people by making them laugh, cry, and think about the world in a new way. I have yet to write in the same genre more than once. I like writing in different genres as a way to improve my craft. It can be a rocky road full of self-doubt, but it’s one of the only ways to improve. Improbables is my first foray into paranormal romance. I’m sure I screwed up somewhere, but I can always do better next time. You know, when I cycle back around to give paranormal romance another go. Honestly, paranormal romance. It was a lot of fun diving into character development as the central arc rather than a consequence of the action. My previous work tended to focus on pre-existing relationships with small, parallel arcs that occurred alongside each other. What Improbables allowed me to do was actually make that growth central to the narrative. While there is action (I promise), the heaviest lifting is on the relationships between the characters. 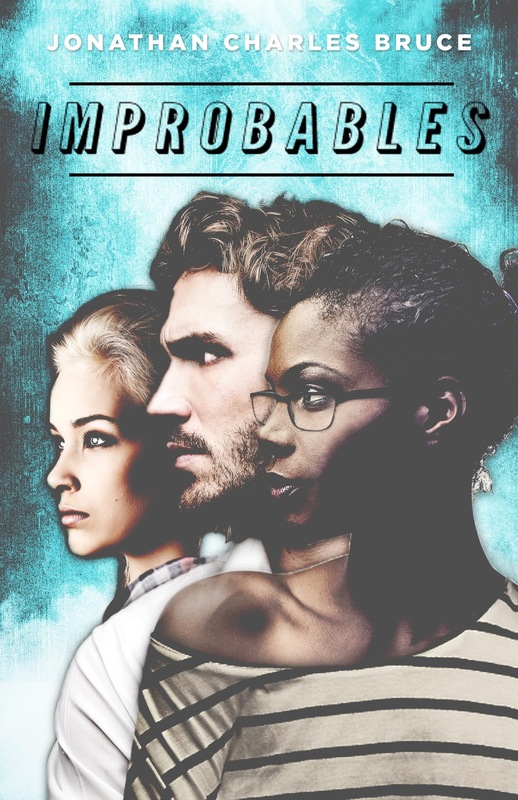 Improbables was originally called I’m So Bad at Paranormal Romance You Guys (You Don’t Even Know). It was only when I realized I needed to name my supernatural community that I came up with what would eventually become the title. As funny (and horribly unwieldy) as it would have been to have kept the original title, it wouldn’t have fit with the ultimate vision I had of the plot. To answer your question a bit more directly, then: in the middle. I’m going to be moving toward writing a sequel to my second Booktrope release, Washed Hands, once the semester winds down. After that, I have an idea for a comedic approach to the apocalypse. It has the same level of self-aware humor that infuses most of my writing, so here’s hoping it gives a genre swamped with zombies and grandiose morals of “man is the real monster” a fresh coat of paint and slightly less irritating self-satisfaction. In Improbables, there were a number of character interactions that were very tough to write. I think I’m a pretty empathetic person, so when I put my characters in situations that are emotionally raw, it was hard not to try to soften it. That is to say, despite my misgivings, I had to keep pushing forward even when something made me feel like any variety of monster. The things that my heroine experiences are things I never could, and that reality made writing those conversations and events all the more difficult as I was subjecting someone I created from the ground up to some very unpleasant things. I think it was important to me as a person and a writer. Could I have done better? I’m sure. But I am always learning, and this was vital for me. I don’t envy her working with me. I’m terrible at visual design, and trying to explain my initial thoughts for the cover was probably some horrible nightmare for her. However, she produced my cover, and it is the best cover. Like, ever. Read. Read a lot. 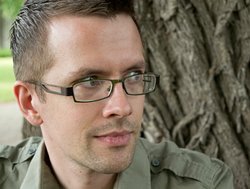 Find authors you enjoy and try to pick up on what makes them tick and, more importantly, what makes them appeal to you. When you write, let them guide you, but only guide—you are only beholden to yourself and your audience. Use other authors’ words as a way to find your own voice. You should be listening to Marina and the Diamonds’ Immortal during the prologue. Christmas Day has a certain melancholy vibe, something best accompanied with Eliza Carthy’s Whispers of Summer. If you happen to come across a creepy town, then you should enjoy the haunting Welcome to Edgewood by Nate Fenwick Smith. I think the last chapter should be read while listening to Florence and the Machine’s Shake it Out. Or Zedd’s Clarity, although I think that Shake it Out is a touch more appropriate. Oh, oh! Syd Matter’s Obstacles would also be a good choice! I should probably stop now. Sorry. I just get really excited. I would love to hear what people think would be good musical accompaniments. I thoroughly enjoy music, so I appreciate knowing the kinds of things people associate with the material I’ve written.